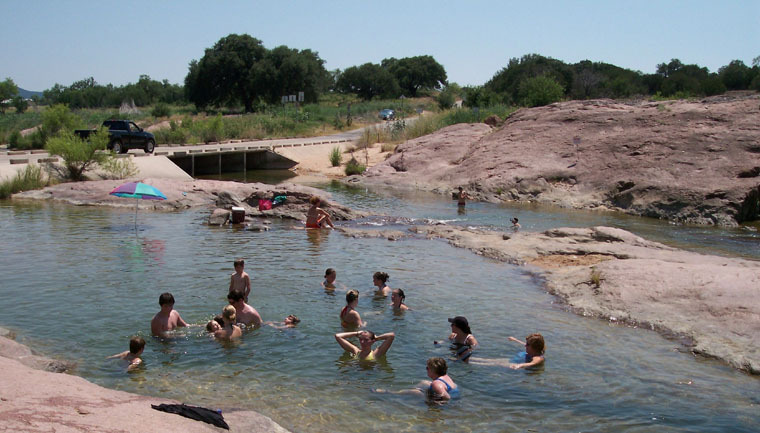 The lazy Llano River drifts over large out croppings of granite which creates pools of inviting, cool water during the warm summer months. Near the bridge, currents begin to pick up speed to flow through narrow row siphons. The water then gently cascades on down the river into Lake LBJ.